You can access Oracle XML DB Repository data using protocols FTP and HTTP(S)/WebDAV. Oracle XML DB also provides the Oracle XML DB protocol server. This supports standard Internet protocols, FTP, WebDAV, and HTTP(S), for accessing its hierarchical repository or file system. HTTPS provides secure access to Oracle XML DB Repository. These protocols can provide direct access to Oracle XML DB for many users without having to install additional software. The user names and passwords to be used with the protocols are the same as those for SQL*Plus. Enterprise users are also supported. Database administrators can use these protocols and resource APIs such as DBMS_XDB_REPOS to access Oracle Automatic Storage Management (Oracle ASM) files and folders in the repository virtual folder /sys/asm. As described in Getting Started with Oracle XML DB and Accessing Oracle XML DB Repository Data, Oracle XML DB Repository provides a hierarchical data repository in the database, designed for XML. Oracle XML DB Repository maps path names (or URLs) onto database objects of XMLType and provides management facilities for these objects. When accessing virtual folder /sys/asm using Oracle XML DB protocols, you must log in with the privileges of role DBA but as a user other than SYS. Session pooling improves performance of HTTP(S) by avoiding the cost of re-creating session states, especially when using HTTP 1.0, which creates new connections for each request. For example, a couple of small files can be retrieved by an existing HTTP/1.1 connection in the time necessary to create a database session. You can tune the number of sessions in the pool by setting session-pool-size in the Oracle XML DB configuration file, xdbconfig.xml, or disable it by setting pool size to zero. Session pooling can affect users writing Java servlets, because other users can see session state initialized by another request for a different user. Hence, servlet writers should only use session memory, such as Java static variables, to hold data for the entire application rather than for a particular user. State for each user must be stored in the database or in a lookup table, rather than assuming that a session only exists for a single user. Oracle XML DB protocol server uses configuration parameters stored in file xdbconfig.xml to initialize its startup state and manage session level configuration. The session pool size and timeout parameters cannot be changed dynamically, that is, you must restart the database in order for these changes to take effect. "Configuration of Oracle XML DB Using xdbconfig.xml"
The Oracle XML DB protocol configuration parameters are described. They include those common to all protocols, those specific to FTP, and those specific to HTTP(S)/WebDAV. Size of the buffer, in bytes, used to read data from the network during an FTP put operation. Set buffer-size to larger values for higher put performance. There is a trade-off between put performance and memory usage. The value can be from 1024 to 1048496, inclusive. The default value is 8192. Name used to access the host system. 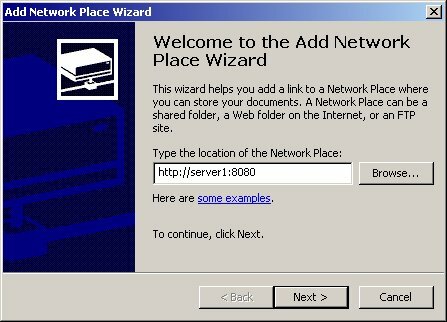 The value can be an IP address or a name that is mapped to an IP address using host naming (e.g., in file /etc/hosts on Linux). By default, the IP address returned by the operating system is used. Time (in hundredths of a second) after which an FTP connection is terminated by the protocol server if the connection has been idle for that time. This parameter must be present, whether or not it is empty. Otherwise, validation of xdbconfig.xml against XML schema xdbconfig.xsd fails. The value must be different from the value of http2-port. Otherwise, an error is raised. This parameter is optional, but, if present, then http2-protocol must also be present. Otherwise, an error is raised. The value must be different from the value of http-port. Otherwise, an error is raised. An empty parameter (<http2-port/>) also raises an error. This parameter must be present. Otherwise, validation of xdbconfig.xml against XML schema xdbconfig.xsd fails. An empty parameter (<http-protocol/>) also raises an error. This parameter is optional, but, if present, then http2-port must also be present. Otherwise, an error is raised. Time (in hundredths of a second) after which an HTTP(S) session (and consequently the corresponding connection) is terminated by the protocol server if the connection has been idle for that time. The HTTP authentication mechanisms allowed. See "Configuration and Management of Authentication Mechanisms for HTTP"
HTTP header that specifies the expiration date and time for a URL. See "Control of URL Expiration Time". To enable the repository to use secure HTTP connections (HTTPS), a database administrator (DBA) must configure the database accordingly: configure parameters http2-port and http2-protocol, enable the HTTP Listener to use SSL, and enable launching of the TCPS Dispatcher. The DBA must then stop and restart the database and the listener. To configure the HTTP Listener for SSL, a database administrator (DBA) must create a wallet for the server and import a certificate; specify the wallet location to the server; disable client authentication; add an SSL_DH_anon cipher suite to SSL_CIPHER_SUITES; and create a listening end point that uses TCP/IP with SSL. More precisely, a DBA must carry out the following steps to configure the HTTP Listener for SSL. This step updates file sqlnet.ora. To enable launching of a TCPS dispatcher during database startup, a database administrator (DBA) must edit the database pfile. You can use the TNS Listener command, lsnrctl status, to verify that HTTP(S) and FTP support has been enabled. An example illustrates this. Service "orcl_XPT.example.com" has 1 instance(s). In a multitenant container database (CDB), protocol server port numbers distinguish the plugged-in pluggable databases (PDBs): each such database must have unique port numbers. A database administrator (DBA) must ensure that each port number used by a PDB is unique. Use PL/SQL function DBMS_XDB_CONFIG.usedPort to obtain the port numbers used by the other PDBs in the same CDB. Use PL/SQL subprogram DBMS_XDB_CONFIG.setFTPPort or DBMS_XDB_CONFIG.setHTTPPort, as needed, to change each port number that conflicts so that it is unique. After a PDB plug-in or clone operation, and until Oracle XML DB has been fully initialized, the port parameter settings in the configuration file, xdbconfig.xml, might be undefined. Oracle recommends that you use DBMS_XDB_CONFIG subprogram getFTPPort, getHTTPPort, getHTTPSPort, setFTPPort, setHTTPPort, or setHTTPSPort to obtain or modify a port value. You configure the authentication mechanisms to allow for HTTP access to Oracle XML DB Repository by setting element authentication, a child of element httpconfig, in configuration file xdbconfig.xml. Starting with 12c Release 1 (12.1.0.1), Oracle Database supports not only basic authentication but also digest access authentication. Note that user credentials are case-sensitive. In particular, to be authenticated, a user name must exactly match the name as it was created (which by default is all uppercase). Digest access authentication, also known as digest authentication provides encryption of user credentials (name, password, etc.) without the overhead of complete data encryption. You can configure the authentication mechanism to use by setting element authentication, a child of element httpconfig, in configuration file xdbconfig.xml. Element authentication is optional. If absent then only basic authentication is used. Element allow-mechanism specifies an allowed mechanism: basic, digest, or custom. Use a separate allow-mechanism element to specify each mechanism you want to allow. Element digest-auth is optional. It specifies information for a digest mechanism. Its child element nonce-timeout specifies the number of seconds that a given nonce remains valid. The default value is 300 seconds. The default value is used if there is an allow-mechanism that specifies digest but there is no digest-auth element. A digest-auth element is ignored if there is no allow-mechanism that specifies digest. With digest authentication, the server generates a nonce whenever it issues an unauthorized response. Clients include the nonce in requests to the server. The server checks nonces received from the client to see if it needs to refuse the client authentication. A client can authenticate the server the same way. A nonce is a unique string that the server generates each time it issues an HTTP 401 (unauthorized) response. Clients include the nonce in subsequent requests that they issue to the server. The server checks the nonce it receives from the client. If incorrect or if the nonce-timeout period has expired, the server can immediately refuse to authenticate. A new nonce is created each time the server sends a digest challenge to a client. A nonce is based on a nonce key. The initial nonce key is generated randomly when you install or upgrade the database. If you use digest authentication then Oracle also recommends that you create a new nonce key periodically, to ensure the integrity of the key. You use PL/SQL procedure DBMS_XDB_ADMIN.createNonceKey to do this. Protocol specifications, RFC 959 (FTP), RFC 2616 (HTTP), and RFC 2518 (WebDAV) implicitly assume an abstract, hierarchical file system on the server side. This is mapped to Oracle XML DB Repository. The repository provides name resolution, ACL-based security, and an ability to store and retrieve any content. The repository can store binary data input through FTP and XML schema-based documents. Oracle XML DB protocol server always checks whether a document being inserted is based on an XML schema that is registered with Oracle XML DB Repository. If it is, then the XMLType storage model to use is determined by that XML schema. If it is not, then the document is stored as a BLOB. You can log the requests received and responses sent by a protocol server by setting event number 31098 to level 2. File Transfer Protocol (FTP), specified in RFC959, is one of the oldest and most popular protocols. It provides access to heterogeneous file systems in a uniform manner. You can use FTP to access and update data stored in Oracle XML DB Repository. File Transfer Protocol (FTP) is implemented by dedicated clients at the operating system level, file-system explorer clients, and browsers. FTP is typically session-oriented: a user session is created through an explicit logon, a number of files or directories are downloaded and browsed, and then the connection is closed. The transfer of command messages and the return of status happens on a single connection. However, a new connection is opened between the client and the server for data transfer. With HTTP(S), by contrast, commands and data are transferred using a single connection. For security reasons, FTP is disabled, by default, for Oracle Database. This is because the IETF FTP protocol specification requires that passwords be transmitted in clear text. Disabling is done by configuring the FTP server port as zero (0). To enable FTP, set the ftp-port parameter to the FTP port to use, such as 2100. FTP features that are not supported by Oracle XML DB include record-oriented files and operations append, allocate, account, and abort. Oracle XML DB supports several FTP client methods for access to Oracle XML DB Repository. The key point demonstrated by Figure 28-3 and Example 28-2 is that neither Windows Explorer nor an FTP tool is aware that it is working with Oracle XML DB. Since such tools and Oracle XML DB both support open Internet protocols they work with each other out of the box. Any tool that understands the WebDAV or FTP protocol can be used to create content managed by Oracle XML DB Repository. No additional software needs to be installed on the client or the mid-tier. It is not clear what the size of a document should be. Is it the size of the CLOB instance generated by printing the document, or the number of bytes required to store the objects used to persist the document inside the database? Regardless of which definition is chosen, calculating and maintaining this information is costly. Release 10.1.0.1.0 - Beta) ready. Oracle Automatic Storage Management (Oracle ASM) organizes database files into disk groups for simplified management and added benefits such as database mirroring and I/O balancing. You can use protocols and resource APIs to access Oracle ASM files in repository virtual folder /sys/asm. All files in /sys/asm are binary. Typical uses are listing, copying, moving, creating, and deleting Oracle ASM files and folders. Example 28-3 is an example of navigating the Oracle ASM virtual folder and listing the files in a subfolder. The structure of the Oracle ASM virtual folder, /sys/asm, is described in Accessing Oracle XML DB Repository Data. In Example 28-3, the disk groups are DATA and RECOVERY; the database name is MFG; and the directories created for aliases are dbs and tmp. This example navigates to a subfolder, lists its files, and copies a file to the local file system. In Example 28-3, after connecting to and logging onto database myhost (first four lines), FTP methods cd and ls are used to navigate and list folders, respectively. When in folder /sys/asm/DATA/dbs, FTP command get is used to copy files t_db1.f and t_ax1.f to the current folder of the local file system. Then, FTP command put is used to copy file my_db2.f from the local file system to folder /sys/asm/DATA/dbs. Database administrators can copy Oracle Automatic Storage Management (Oracle ASM) files from one database server to another or between the database and a local file system. Example 28-4 shows copying between two databases. For this, the proxy FTP client method can be used, if available. The proxy method provides a direct connection to two different remote FTP servers. Example 28-4 copies an Oracle ASM file from one database to another. Terms with the suffix 1 correspond to database server1. Terms with the suffix 2 correspond to database server2. Note that, depending on your FTP client, the passwords you type might be echoed on your screen. Take the necessary precautions so that others do not see these passwords. Lines 2–4 log the database administrator onto server1 as USERNAME1. Lines 7–9 log the database administrator onto server2 as USERNAME2. Line 11 copies Oracle ASM file dbs2.f from server2 to Oracle ASM file tmp1.f on server1. Line 12 copies Oracle ASM file dbs1.f from server1 to Oracle ASM file tmp2.f on server2. You can use the Oracle XML DB configuration file, xdbconfig.xml, to configure FTP to listen on any port. By default, FTP listens on a non-standard, unprotected port. (UNIX only) Use shell command id to determine the user_id and group_id that were used to install Oracle Database. oracle_installation_user is the name of the user who installed the database. (UNIX only) Stop, then restart the listener, using the following shell commands, where user_id and group_id are the UNIX user and group identifiers obtained in step 3. Use PL/SQL procedure DBMS_XDB_CONFIG.setFTPPort with SYS as SYSDBA to set the FTP port number to 21 in the Oracle XML DB configuration file, xdbconfig.xml. Starting with 11g Release 2 (11.2), Oracle Database supports the use of Internet Protocol Version 6, IPv6 (in addition to Internet Protocol Version 4). Example 28-5 shows how to make an FTP connection with the IPv6 address 2001::0db8:ffff:ffff:ffff. 220- xmlhost.example.com FTP server (Oracle XML DB/Oracle Database) ready. Oracle XML DB protocol server provides session management for FTP. After a short wait for a new command, FTP returns to the protocol layer and the shared server is freed up to serve other connections. The duration of this short wait is configurable by changing parameter call-timeout in the Oracle XML DB configuration file. For high traffic sites, call-timeout should be shorter, so that more connections can be served. When new data arrives on the connection, the FTP server is re-invoked with fresh data. So, the long running nature of FTP does not affect the number of connections which can be made to the protocol server. If you are frequently disconnected from the server and you must reconnect and traverse the entire directory before performing the next operation, then you might need to modify the default timeout value for FTP sessions. If the session is idle for more than this period, it is disconnected. Do not use FTP in passive mode to connect remotely to a server that has HOSTNAME configured in listener.ora as localhost or 127.0.0.1. If the HOSTNAME specified in server file listener.ora is localhost or 127.0.0.1, then the server is configured for local use only. If you try to connect remotely to the server using FTP in passive mode, the FTP client fails. This is because the server passes IP address 127.0.0.1 (derived from HOSTNAME) to the client, which makes the client try to connect to itself, not to the server. The Oracle XML DB HTTP(S) component of the Oracle XML DB protocol server implements the RFC2616 specification with the exception of a few optional features. Oracle XML DB supports several HTTP(S) client methods for access to Oracle XML DB Repository. You can use the Oracle XML DB configuration file, xdbconfig.xml, to configure HTTP(S) to listen on any port. By default, HTTP(S) listens on a non-standard, unprotected port. Starting with 11g Release 2 (11.2), Oracle Database supports the use of Internet Protocol Version 6, IPv6 (in addition to Internet Protocol Version 4). IPv6 addresses in URLs are enclosed in brackets (). If properly configured, you can access Oracle XML DB Repository in a secure fashion, using HTTPS. See "Configuring Secure HTTP (HTTPS)" for configuration information. Optional configuration parameter expire specifies an HTTP Expires header. This header acts as a directive to the HTTP client, to specify the expiration date and time for a URL. If cached, the document targeted by a URL can be fetched from the client cache rather than from the server, until this expiration time has passed. After that time, the cache copy is out-of-date and a new copy must be obtained from the source (server). The Oracle XML DB syntax for the Expires header, which is used in the expire configuration element, is a subset of the so-called alternate syntax defined for the ExpiresDefault directive of the Apache module mod_expires. See http://httpd.apache.org/docs/2.0/mod/mod_expires.html#AltSyn for that syntax. You cannot use access as the <base>. Only now and modification are allowed. The <type> values must appear in order of decreasing time period. For example, year must appear before, not after, month, since a year is a longer time period than a month. You can use at most one occurrence of each of the different <type> values. For example, you cannot have multiple year entries or multiple day entries. Optional configuration parameter allow-repository-anonymous-access controls whether or not anonymous HTTP access to Oracle XML DB Repository data is allowed using an unlocked ANONYMOUS user account. The default value is false, meaning that unauthenticated access to repository data is blocked. To allow anonymous HTTP access to the repository, you must set this parameter to true, and unlock the ANONYMOUS user account. If user account ANONYMOUS is locked for a multitenant container database (CDB) then locking or unlocking ANONYMOUS for a pluggable database (PDB) plugged into that CDB has no effect on access by ANONYMOUS to the PDB. Oracle XML DB supports the use of Java servlets. Each must each be registered with a unique name in the Oracle XML DB configuration file, along with parameters to customize its action. It should be compiled and loaded into the database. The servlet name must be associated with a pattern. The pattern can be an extension such as *.jsp or a path name such as /a/b/c or /sys/*, as described in Java servlet application program interface (API) version 2.2. While processing an HTTP(S) request, the path name for the request is matched against the registered patterns. If there is a match then the protocol server invokes the corresponding servlet with the appropriate initialization parameters. The Java Virtual Machine (JVM) is started, and it invokes a Java method to initialize the servlet, create response and request objects, pass these on to the servlet, and run the servlet. You can use the PL/SQL gateway to implement a Web application entirely in PL/SQL. There are two implementations of the PL/SQL gateway: mod_plsql and the embedded gateway. mod_plsql – a plug-in of Oracle HTTP Server that lets you invoke PL/SQL stored procedures using HTTP(S). Oracle HTTP Server is a component of both Oracle Fusion Middleware and Oracle Database. Do not confuse Oracle HTTP Server with the HTTP component of the Oracle XML DB protocol server. Using the embedded PL/SQL gateway simplifies installation, configuration, and administration of PL/SQL based Web applications. The embedded gateway uses the Oracle XML DB protocol server, not Oracle HTTP Server. Its configuration is defined by the Oracle XML DB configuration file, xdbconfig.xml. However, the recommended way to configure the embedded gateway is to use the procedures in PL/SQL package DBMS_EPG, not to edit file xdbconfig.xml. When a client sends multibyte data in a URL, RFC 2718 specifies that the client should use the %HH format, where HH is the hexadecimal notation of the byte value in UTF-8 encoding. Convert non-ASCII characters that appear in URLs passed to an HTTP server to UTF-8 and escape them using the %HH format, where HH is the hexadecimal notation of the byte value. You can control the character sets used for data that is transferred using HTTP(S). The character set of an HTTP(S) request body is determined using a straightforward but somewhat complex algorithm. If neither a BOM nor an encoding declaration is present then UTF-8 is used. If a BOM is present then UTF-16 is used. If an encoding declaration is present then the specified encoding is used. If the MIME type is text then ISO8859-1 is used. If the MIME type is neither "*/xml" nor text then the database character set is used. The response generated by the Oracle XML DB HTTP server is in a character set specified in the Accept-Charset field of the request. Accept-Charset can specify a list of character sets. Based on the q-value, Oracle XML DB chooses one of them that does not require conversion. This might not necessarily be the character set with the highest q-value. If Oracle XML DB cannot find one that does not require conversion, then the conversion used is based on the highest q-value. Web Distributed Authoring and Versioning (WebDAV) is an IETF standard protocol that Oracle XML DB uses to provide users with a file-system interface to Oracle XML Repository over the Internet. The most popular way of accessing a WebDAV server folder is through WebFolders using Microsoft Windows. Oracle XML DB supports the foldering and access-control features of WebDAV. Foldering is specified by RFC2518. WebDAV is a set of extensions to the HTTP(S) protocol that allow you to share, edit, and manage your files on remote Web servers. Oracle XML DB supports specification RFC2518, with the exception of a few features. For methods COPY, MOVE and DELETE it also supports the binding of resources as described in specification RFC5842. Using the name of a write-locked null resource (a lock-null resource) as a folder name is not supported, because it is represented as a zero-length resource in the file system. This is an optional feature. For method LOCK, you cannot specify infinity for the depth, to simultaneously lock a resource and all of its descendents. This feature is not optional, but it is not supported by Oracle XML DB. In addition, for methods COPY, MOVE and DELETE Oracle XML DB supports the binding of resources as described in section 2 of RFC5842, “Binding Extensions to Web Distributed Authoring and Versioning (WebDAV)”. A binding is a mapping of a URI to a resource, for a given folder. Oracle XML DB supports several HTTP(S)/WebDAV client methods for access to Oracle XML DB Repository. "Adding Metadata Using WebDAV PROPPATCH"
For Microsoft Windows XP with Service Pack 2 (SP2), you must use a secure connection (HTTPS) for WebDAV access to Oracle XML DB Repository, or else you must make appropriate modifications to the Windows XP Registry. Create a WebFolder in Windows 2000 and use it with Oracle XML DB Repository. You can access Oracle XML DB Repository the same way you access any Windows folder. You can use Windows Explorer to insert a folder from a local hard drive into Oracle Database. Windows Explorer includes support for the WebDAV protocol. WebDAV extends the HTTP standard, adding additional verbs that allow an HTTP server to act as a file server. When a Windows Explorer copy operation or FTP input command is used to transfer a number of documents into Oracle XML DB Repository, each put or post command is treated as a separate atomic operation. This ensures that the client does not get confused if one of the file transfers fails. It also means that changes made to a document through a protocol are visible to other users as soon as the request has been processed. Description of "Figure 28-3 Copying Files into Oracle XML DB Repository"
BOM is a Unicode-standard signature that indicates the order of the stream of bytes that follows it.